Fitness trackers are good at counting things: steps you walked, calories burned, active minutes, how long you slept, and so on. While the accuracy of these devices can be dubious, a tracker can at least tell you how active you are compared to other days—well, assuming you keep wearing it. 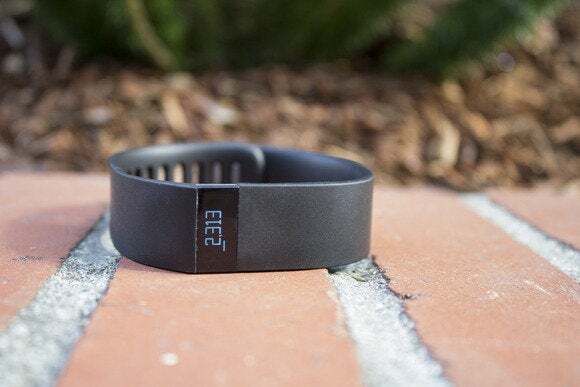 According to the Journal of the American Medical Association, more than half of the people who purchase fitness trackers stop using them, and one-third stop in less than 6 months. What fitness trackers and their apps aren’t good at—yet—is providing real insights. While looking at your fitness data can help motivate you to maintain a level of activity, data alone probably doesn’t tell you that much that you don’t already know. They don’t help you get healthier or more active. You have to do that yourself. Lark looks at your activity data, and tries to suggest ways to be more active. For fitness trackers and other health-related devices to be useful, they need to go one step further and provide real, actionable advice. Let’s say you bought a fitness tracker to lose weight. It’s not enough to look at how many steps you took today or this week, or how many calories you burned. You need more information, such as suggestions on when to walk or run, how much, and how often. One iOS app that does this is Lark. 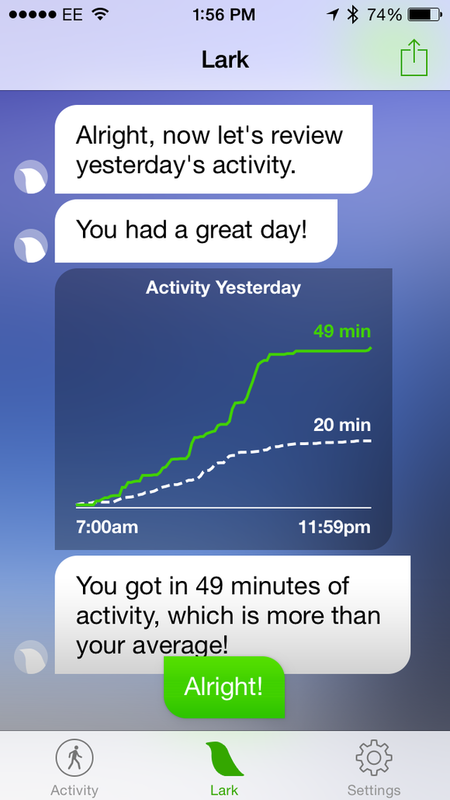 It looks at data stored in Apple’s Health app, and gives you nudges or reminders to be more active. But this assumes that your data gets funneled into the Health app; Fitbit, one popular manufacturer of fitness trackers, doesn’t sync its data to Health natively, although Sync Solver can bridge that gap for $2. I’ve recently been testing Withings’ Aura, a device that tracks my sleep. It tells me how much I’ve slept, and whether I was in light sleep, deep sleep, or REM sleep. But it doesn’t tell me, for example, that I didn’t sleep enough the past few nights, and that I should get to sleep earlier tonight, or that I need more REM sleep—or better yet, how to get more REP sleep. It shows data in pretty graphs and tables, but it’s up to me to act on it, assuming I remember to check the data. I’m right at the top of the bell curve, but unless I see this as a challenge, this data doesn’t help me become more active. These devices will only become useful when they act as a sort of personal coach, or personal assistant. Not the nagging kind, but the kind that gives you gentle reminders to stand up, move around, take a walk, open the windows, meditate, and more. Fitbit offers a $50 a year Fitbit Premium service, which can help you increase your activity, but most of what it does is show you data in pretty graphs, and suggest that you increase your activity overall. It doesn’t remind you, during the day, to go walk around the block a few times. Perhaps static charts and graphs are enough to guilt some people into being more active, but with the high number of people who simply give up on these devices, it’s more likely that it will just annoy them until they stop tracking their activity. Now that we have the technology to track data, the next step has to be turning that data into actionable insights.